Modern Cancer Hospital Guangzhou is located in the operation center city of Southeast Asia—Guangzhou, Guangdong Province. Specifically, it is located at the foot of Baiyun Mountain. Modern Cancer Hospital Guangzhou invests a lot of money to the construction of environment, equipment technology and services, which aims to make itself become an international cancer treatment institution with modern management, humanized service and digitized information. Modern Cancer Hospital Guangzhou is the council member of Chinese Anti-cancer Association and is managed by the China Health Bureau. For many years, Modern Cancer Hospital Guangzhou continually explores new technologies for cancer treatment, and positively adapts the new concept of treating cancer with normalization, individualization, rationalization. So far, the minimally invasive technology in Modern Cancer Hospital Guangzhou is matured enough and it is leading the pack both in Asia and all over the world. The new treatment model of “Combination of Traditional Chinese Medicine, Western Medicine and Minimally Invasive Targeted Therapy”, which actually is the combination of traditional Chinese medicine with interventional therapy, natural therapy, cryotherapy, etc, has gained good reputation both at home and abroad. The advantages of the new treatment model include small trauma, few side effects and quick efficacy. Compared with systemic chemotherapy, this new treatment model kill cancer cells precisely without hurting other normal tissues, and it avoids the disadvantages of traditional treatments, therefore, it greatly reduce patients’ suffering and improves patients’ survival time and living quality. Dr Cary Adams, the chief executive officer of the Union for International Cancer Control (UICC) highly praised Modern Cancer Hospital Guangzhou for its achievement and development in cancer treatment. Numerous cancer patients in Southeast Asia are attracted by the advanced minimally invasive therapy in Modern Cancer Hospital Guangzhou. About 80% of cancer patients in our hospital mainly come from Indonesia, Philippine, Malaysia, Vietnam, Thailand, Cambodia and other countries in Southeast Asia. Patients from different countries get together, which makes Modern Cancer Hospital Guangzhou become an international big family. 12 offices are respectively set up in Indonesia, Philippine, Vietnam, Cambodia, Malaysia, so as to provide convenience for patients in different countries to take cancer treatment in Modern Cancer Hospital Guangzhou. With the growth and development of Modern Cancer Hospital Guangzhou, more offices will be set up in other countries, so as to provide convenience and professional consultation for more cancer patients. Moreover, more than 60 value-added services, including travel, shopping, volunteer lectures about health information and so on, has gained consistent praise among cancer patients. Medicine without borders, love transmits forever. Medical management expertise and researchers from Indonesia, Vietnam, Thailand, Singapore, Malaysia and other Southeast Asian countries visited Modern Cancer Hospital Guangzhou frequently. The World Cancer Congress and Southeast Asia Cancer Forum have organized many medical team and media delegation to have both observation of minimally invasive technology and further communication. Moreover, Modern Cancer Hospital Guangzhou is named as the appointed hospital for minimally invasive operation. Modern Cancer Hospital Guangzhou was honored as the Holy Land of Recovery under the foot of Baiyun Mountain. 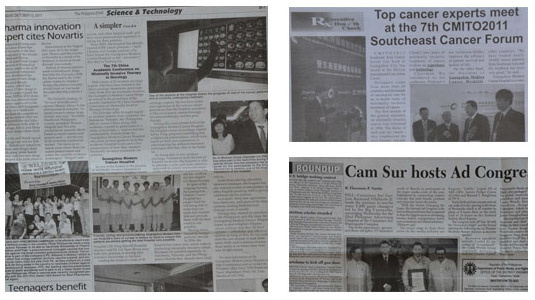 Numerous media in different countries published reports to praise the achievement made by Modern Cancer Hospital Guangzhou in the field of cancer treatment, including the United Daily News, the Philippines Star, the Philippines Business Report, the World Journal and the Manila Standard Today in the Philippines; the Thanh Nien, the Sài Gòn Giải Phóng in Vietnam, the China Daily, Guang Ming Daily, Sin Chew Daily in Malaysia, etc. After many years’ construction and exploration, Modern Cancer Hospital Guangzhou has gained recognition from many health departments and anti-cancer associations, and has become the only hospital in Southern China which is named as the appointed hospital by many health departments of different countries. 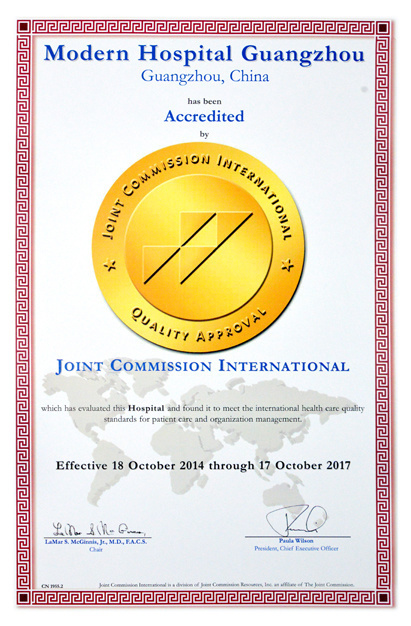 In October 2014, Modern Cancer Hospital Guangzhou has been accredited by JCI (Joint Commission International) of the 5th version, which assesses and evaluates with strict standards in the world and stands for the highest level of accreditation for medical service and hospital management. This means Modern Cancer Hospital Guangzhou has become one of the most world-advanced medical institutes, whose medical safety, quality and services have met the highest international standards. Modern Cancer Hospital Guangzhou also contributes itself to programs for public good during its development; Modern Cancer Hospital Guangzhou undertook and took part in many public benefit activities, such as working with patriotic overseas Chinese to provide gynecological cancer patients with contribution plan; set up anti-cancer philanthropic foundation and club for cancer patients; help the medical construction in Vietnam, Thailand, Indonesia, South Africa, etc. 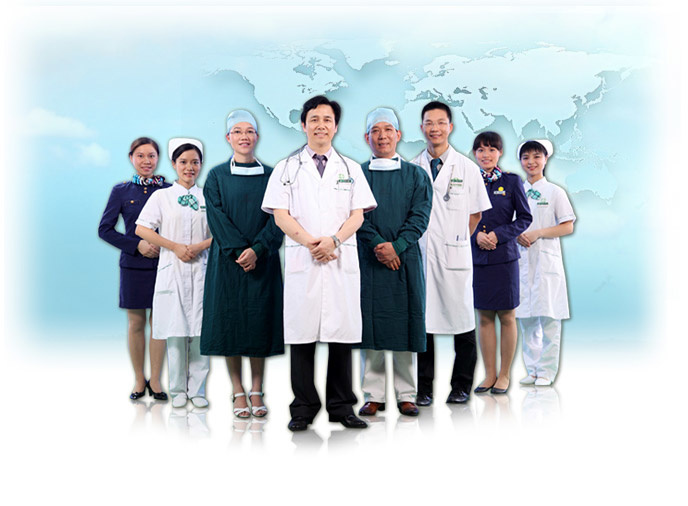 As the international modern study base of cancer treatment, Modern Cancer Hospital Guangzhou has convenient service and advanced anticancer technologies, which can help patient get better efficacy. 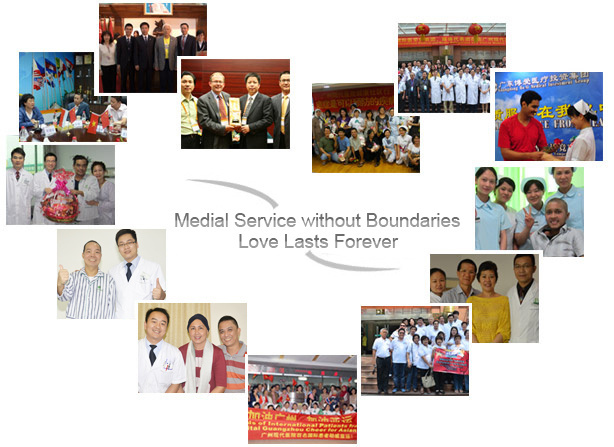 Everyone in Modern Cancer Hospital Guangzhou will serve you wholeheartedly!